Cube pork into bite size pieces. Combine garlic, pepper, and sauce together in bowl. Marinate meat for 3 hrs. 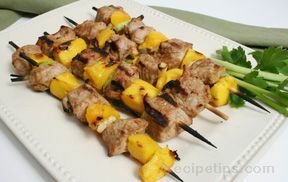 Put meat on wooden or metal skewers. 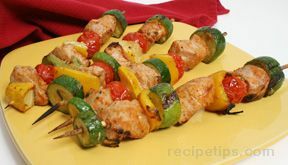 When using wooden skewers, soak them in water for an hour before using. This helps them to not burn during the grilling process. Grill on medium grill for 7 to 10 minutes. DO NOT OVER COOK!